43. Rs. 4 to a Hindu male and Rs. 2 to a Hindu female on conversion. Siyaha Akhbarat-i-Darbar-i- Mu‘alla, Julus (R.Yr.) 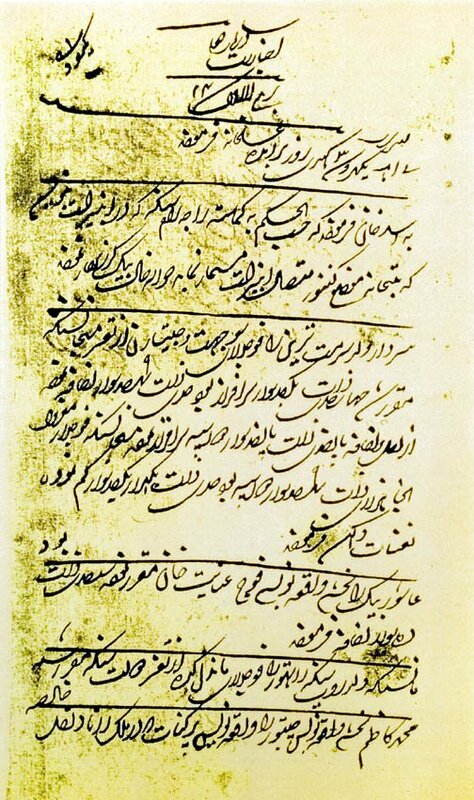 28 Jamadi I, 12 / 7th April 1685. The amount offered as an inducement for conversion was substantial and amounted to almost one month’s wages of a worker in case of a Hindu male. 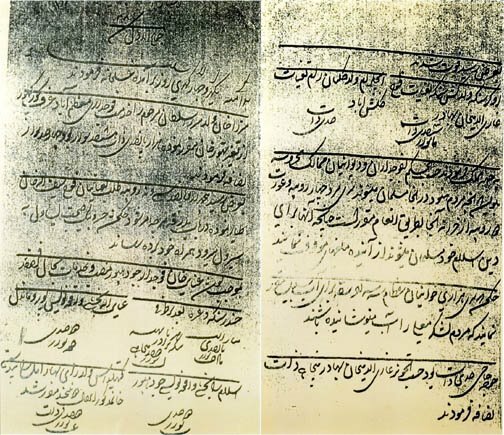 The document forms one of the most unabashed statement and the severest indictment on the methods adopted in spreading Islam in India, and this was being done even more than four hundred after the establishment of Muslim rule in India (c. 1200 A.D.)! Siyaha Akhbarat-i-Darbar-i-Mu‘alla, Julus (R.Yr.) 24, Rabi I, 17 / 28th March 1681. There was no provocation for Aurangzeb’s ordering demolition of the Goner Temple, since the Jagdish Temple at Goner, as per tradition, had been built in Akbar’s time. It is however a known fact that Aurangzeb’s distrust of and dislike for Maharaja Ram Singh of Amber had never abated ever since the escape of Shivaji from Agra (19th August 1666) in which Kumwar Ram Singh’s hand was suspected by the Emperor. 45. Demolition of the Jagdish Temple at Goner (Amber). Siyaha Akhbarat-i-Darbar-i-Mu‘alla, Julus (R.Yr.) 24, Jamadi I, 5 / 14th May 1681. The Temple of Jagdish at Goner, which lies about 20 Km. from Jaipur, is one of the most important Temples in the region. It is believed that the murli (idol) of Lakshmi Narayanji was found by one Devadas during Akbar’s time. Devadas was a poor Brahman farmer from Sivad and it is said that the Lord himself appeared before him and asked him to go to Goner and excavate the idol and install it in a Temple. Tradition is that when the Mughal troops attacked the Temple during the reign of Aurangzeb, one Sujan Singh Pachyanot with his men resisted and saved the Temple. However, as the two Akhbarat exhibited here show, Gaj Singh Rajput and his men though fought till the last breath, they could not save the Temple which was demolished. The Temple seems to have been built soon after 1710 when Sawai Jai Singh regained his patrimony of Amber from the Mughal Government. 46. The execution of Raja Shambhaji (son of Shivaji) on Aurungzeb’s orders after capture. (February, 1689). On the 15th February 1689, Shambhaji and Kavi Kalash were brought to the Imperial camp dressed as buffons with long fool’s caps and bells placed on their heads, mounted on camels, with drums beating, with thousands of onlookers lining the roads. Aurangzeb was sitting in full darbar, and, at the sight of the prisoners, “descended from the throne and kneeling down on the carpet bowed his head to the ground in double thankfulness to the Giver of this crowning victory.” Shambhaji spurned the offer of life and loosened his tongue in abuse of the Emperor. That very night his eyes were gorged out and next day the tongue of Kavi Kalash was cut out. The Musalman clerics decreed that Shambhaji should be put to death. In the painting above, the entire sequence of events after Shambhaji’s arrival in the camp, his cruel death and barbaric manner in which his dead body was dealt with have been brought out alive. The courageous manner in which Shambhaji braved death made him a martyr in the eyes of the people who preferred to forget his earlier mistakes and actions. 47. Restrictions on the Hindus: forbidden to travel in Palkis, or ride on elephants and Arab-Iraqi horses. In March 1695, all the Hindus, with the exception of the Rajputs, were forbidden to travel in palkis, or ride on elephants or Arab and Iraqi horses, or to carry arms. 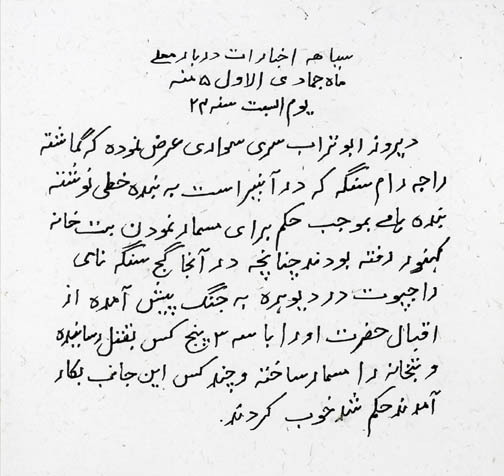 (Muntakhab-ul-Lubab, ii, 395; Maasir-i-‘Alamgiri, 370 and News Letter, 11 December 1694). 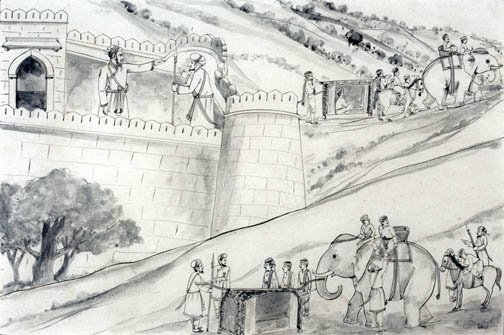 In the sketch above, well to do Hindus are being made to alight from palki (sedan chair), elephant and good horse by Mughal officers. The need to issue this derogatory order was the requirement, also recorded in Fatwa-i-‘Alamgiri, that Zimmis should not be allowed to look like Muslims, that is carry themselves with the same dignity. The folly and futility, or even danger of applying or observing the restrictive practices of some of the Khalifahs, such as ‘Umar (717 A.D.), and the guiding principles, practices and law prescribed, interpreted, or recommended in the seventh and eighth centuries in Arabia and Iraq, after a lapse of ten centuries in a country like India, was never realized by the Muslim clerics or their Emperor. 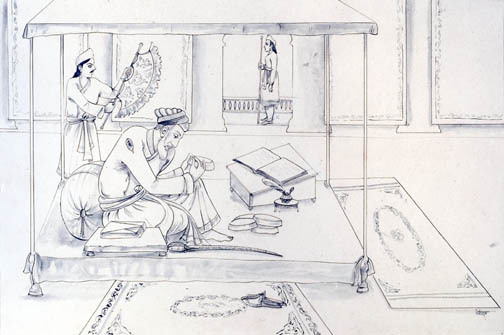 The above sketch shows Aurangzeb, now about 89 years old, writing his Will. FIRST - On behalf of this sinner sunk in iniquity [i.e. myself] cover [with an offering of cloth] the holy tomb of Hasan (on Him be peace), because those who are drowned in the ocean of sin have no other protection except seeking refuge with that Portal of Mercy and Forgiveness. SECOND - Four Rupees and two annas, out of the price of the caps sewn by me, are with Aia Beg, the mahaldar. Take the amount and spend it on the shroud of this helpless creature. Three hundred and five Rupees, from the wages of copying the Quran, are in my purse for personal expenses. Distribute them to the faqirs on the day of my death. THIRD - Take the remaining necessary articles [of my funeral] from the agent of Prince Alijah; as he is the nearest heir among my sons, and on him lies the responsibility for the lawful or unlawful [practices at my funeral]; this helpless person (i.e. Aurangzeb) is not answerable for them, because the dead are in the hands of the survivors. FOURTH - Bury this wanderer in the Valley of Deviation from the Right Path with his head bare, because every ruined sinner who is conducted bare-headed before the Grand Emperor (i.e. God), is sure to be an object of mercy. SIXTH - It is proper for the ruler of the kingdom (i.e. 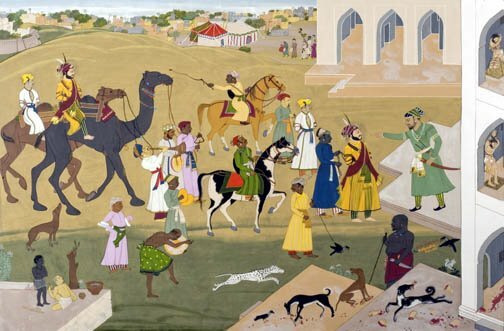 my heir) to treat kindly the helpless servants who in the train of this shameless creature [Aurangzeb] have been roving in the deserts and wilderness [of the Deccan]. Even if any manifest fault is committed by them, give them in return for it gracious forgiveness and benign overlooking [of the fault]. TENTH - As far as possible the ruler of a kingdom should not spare himself from moving about; he should avoid staying in one place, which outwardly gives him repose but in effect brings on a thousand calamities and troubles. ELEVENTH - Never trust your sons, nor treat them during your lifetime in an intimate manner, because, if the Emperor Shah Jahan had not treated Dara Shukoh in this manner, his affairs would not have come to such a sorry pass. Ever keep in view the saying, ‘The word of a king is barren’. TWELFTH - The main pillar of government is to be well informed in the news of the kingdom. Negligence for a single moment becomes the cause of disgrace for long years. The escape of the wretch Shiva took place through [my] carelessness, and I have to labour hard [against the Marathas] to the end of my life, [as the result of it]. Twelve is blessed [among numbers]. I have concluded with twelve directions. “If you learn [the lesson], a kiss on your wisdom. If you neglect it, then alas! alas!” (Ahkam-i-‘Alamgiri, Eng. Tr. J.N. Sarkar). There is another will of Aurangzeb in India Office Library MS.1344,f.49b (Sarkar, Aurangzeb, Vol.V, 201). Its chief interest lies in the suggested method of partitioning the empire among his three surviving sons. 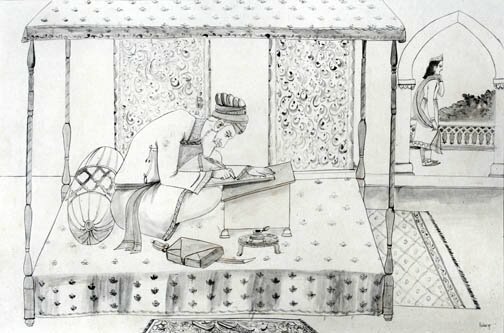 Emperor Aurangzeb sewing caps and copying the Quran as acts of piety.